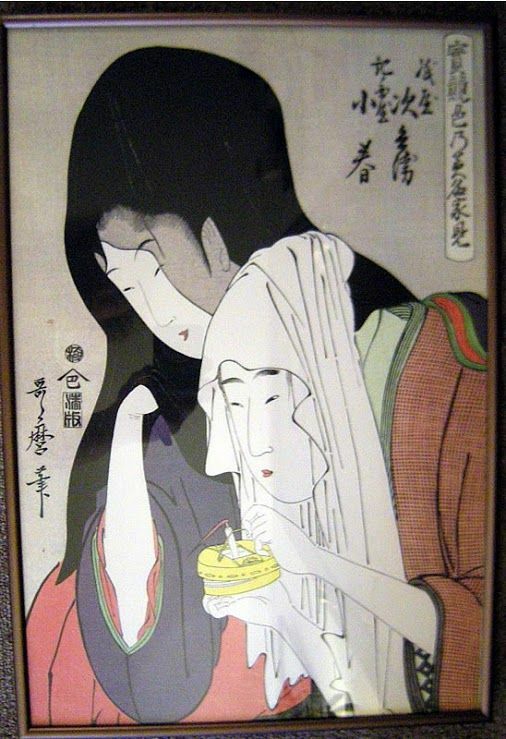 Unfortunately mine is not an original Utamaro woodblock print, but a reproduction, art print poster, purchased in the frame from a local framers gallery at a discounted price. I don't know who republished this print as a poster, however, this particular find is what got me interested in Ukiyo-e in the first place. Be wary of deceptive sellers selling fakes of this print at excessively inflated prices, such as this one on Amazon, presumably using the "print" as a means of jacking up the price on frames.